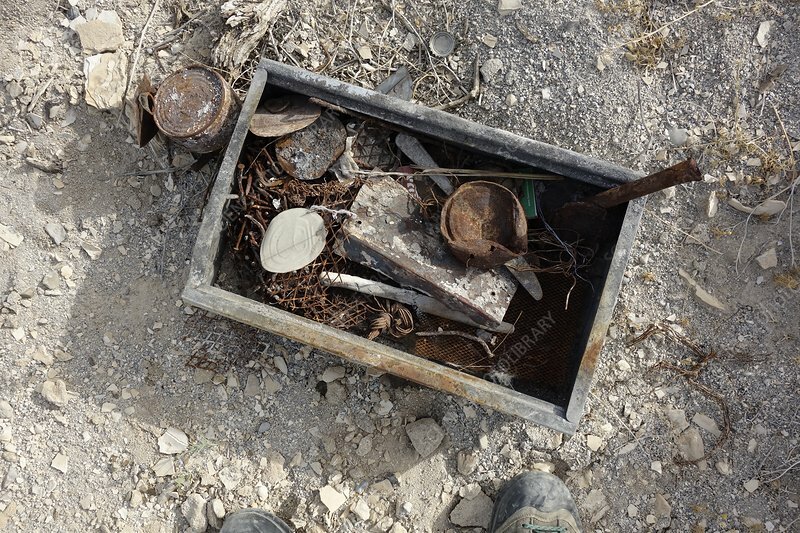 Metal objects on the shore of the Dead Sea, Israel. The Dead Sea is a salt lake bordered by Jordan, the West Bank and Israel. At around 34 percent salinity, it is one of the saltiest bodies of water on Earth. The high salinity and mineral content of the waters affect the rates of corrosion of metals, concrete and other substances.